Doing 20 push-ups when you wake in the morning or doing 20 sit-ups before bedtime are not considered workouts. Each workout usually consists of 20-90 minutes of continuous aerobic exercise (cardio) or anaerobic exercises (weights, sprints), or a combination of both. Your workout program is the sum total of your structured, continuous activity for a specific period of time such as a week, month or year. In order to have a successful workout routine, you should make it a priority to set your specific physical fitness goals first. Once you establish your goals, you can create a workout routine that fits your schedule. In order to get the most benefit from working out, you should have a personal workout program. Using a generic, one-size-fits-all workout routine is not the best way to attempt to accomplish your fitness goals. When a personal trainer meets with a client for the first time, they usually spend around an hour talking about the client’s past experience, current goals, injuries, posture problems, etc. and measure the client’s body composition, weight, and circumference measurements before even considering workout routines which would fit the client’s goals. When the personal trainer gets all the information about the client, then and only then, the personal trainer begins to design a workout routine which will attempt to fit the clients goals, fitness level, and schedule. It can be very discouraging if you put a lot of time and effort into a workout routine which yields very little results. The combination of not being ready to perform the workout properly, injury, and frustration due to not making progress can be disastrous for someone starting an exercise program. The problem with “cookie cutter,” one-size-fits-all workout routines is they were not designed with your specific goals and situation in mind. The best option is to either educate yourself and create your own personal workout plan or seek the help of a personal trainer who is experienced in helping people like you. The problem is that our body is not programmed to achieve quick results. If it took 5 years to put on that extra 10 pounds, you can bet losing it will not be a quick and easy process. Losing 20 pounds of body fat or gaining 20 pounds of muscle is not something which happens overnight, regardless of how good your workouts are. With a proper nutrition and the right workout routine, you will achieve long lasting results. The FITT principle is a basic philosophy that you can use to guide in the creation of a workout routine. The FITT principle is especially useful for people with low to moderate physical fitness levels and so is a good start to creating effective personal workout routines. Keep in mind that each of the four variables of the FITT principle affect the others. 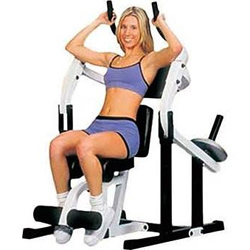 For example, the more frequent and intense your workouts are, the less time you are able to spend working out. Three 30 minute aerobic exercise workouts is the bare minimum exercise frequency if you want to achieve tangible benefits. It is preferable to perform aerobic/cardio workouts more than 3 times per week, but there is a limit. If you exercise too frequently, you may cause your body to enter overtraining syndrome which will slow your results. Overtraining syndrome can be a serious problem for the small minority of people who exercise excessively. The frequency of your weight training varies widely depending on the other three FITT principle factors. Your average heart rate, or how high you maintain your heart rate during your continuous aerobic exercise is your intensity. Beginners should figure out their target heart rate, which can be calculated using a simple equation. The target heart rate will give beginners a baseline heart rate to maintain to obtain cardiovascular benefits as well as stay safe. The textbook definition of resistance training intensity is how heavy each set is in relation to your 1RM or maximal lift. It is important to know the textbook definition of intensity because it is easily measured and should be controlled to progress your workout routines. If you do not keep track of your workout intensity with cardio or weight training, you will not know if you are putting your body through the overload principle. Increasing cardiovascular and muscular stress above normal levels to force the body to progress and adapt is the overload principle in a nutshell. There is an inverse relationship between workout time and intensity. The higher the intensity, the less time you can work out, and vice versa. With cardiovascular training, there are two primary ways to exercise. High-intensity training is shorter-duration training usually in intervals such as wind sprints, or any cardio machine’s interval programs. Low-intensity long-duration training such as cross country involves a slower pace in which a relatively low heart rate can be maintained for the duration of the exercise. With resistance training, time is a slightly more difficult concept. Since resistance training usually involves periods of work (sets) and rest, the time on the clock is not as important a factor. How long your muscles are under tension is the true time measure for resistance/weight training. What is your favorite and least favorite form of exercise? Type of training can affect frequency, intensity, and time. Types of cardio training include walking, running, hiking, climbing, bicycling, sports, circuit training with weights, and anything which can get your heart rate up into and past your target heart rate zone. Your fitness goals will be important for determining what type of weight training workout routines to use. If you are looking for strength, you should focus on higher intensity strength training. Olympic lifting may be preferential for you since quintessential power or speed strength is a priority. If you are looking to build huge muscles, slower, high-volume bodybuilding-style workouts may be the right workout routines for you. The SAID principle stands for Specific Adaptations to Imposed Demands. Without getting too complicated, the SAID principle simply states that in order for your body to change how you want it to, you have to do activities which are consistent with your goals. If you want to be an elite sprinter, taking long walks is definitely not the best way to increase your short sprint speed. If you want to be able to bench press 500lbs, then doing sets of 50 push-ups is not the best way to achieve your goals. Here are some time-tested methods to help you create and adhere to workout routines, which will help you systematically achieve your fitness goals. It is mentioned so often you’re certainly sick of hearing it. 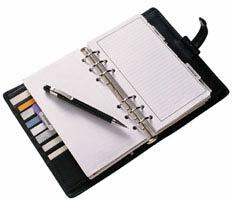 Writing things down in a journal or workout log is a very important step in creating your workout routine or a healthy goal-driven nutrition program for yourself. Writing things down has been proven again and again to help not only with adherence to workout routines, but to achieve better nutrition and build healthy habits. 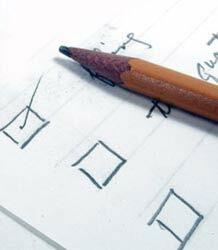 In order for workout programs to be successful, there must be a way to quantify your results. Measuring your body’s circumferences such as thighs, arms, waist, hips, and chest are one important way of measuring. Body composition is the most important measurement. If you know your body fat percentage, you will be able to see if your workout program is achieving the desired results. Finally, there is scale weight. Scale weight is important, but not as important your circumference measurements and body composition. It is always a good idea to record multiple measurements. If strength and performance are important to you as well as body composition, you may want to time yourself at whatever distance run you compete for. Maybe you can only do 40 push-ups but want to do 100. Measure what applies to your goals. Don’t make the mistake of forgetting to establish an obtainable, measurable short-term goal at the beginning of your workout program. This is especially important if you have lofty, long-term goals to accomplish. Before you lose 20 pounds you have to lose 5. By establishing short term goals, you can use multiple workout routines to accomplish your long term goal. As with everything, write down your goals. You can put them in places where you see them often to keep reminding you to adhere to your workout program and nutrition regimen. Another good idea is to take a “before picture” of yourself and put it next to who you aspire to look like, or what you aspire to do, such as lift a heavy weight. This will help you stay disciplined to accomplish your goals. It may seem very simple and juvenile, but it works. After you spend a month or so on your workout routine, you should measure your body composition, circumferences, and body weight again. Take another picture of yourself if you did so in the first place. A good idea is to have someone else analyze the picture for you, as you may be too hard on yourself. Make sure when you measure your body, you do so at the same time of day each time. The best time to measure the body is first thing in the morning before any food or exercise. These re-assessments are where you can see if your weight lifting, workouts, and cardio training sessions have achieved the desired results for your body. There is more than one way to reach your goals. Workout routines which do not achieve your desired results still hold valuable information for you. Provided you write things down, you will learn from your mistakes and determine which workout program is the best for accomplishing your specific fitness goals. How Long Can Workout Routines be Used For? It is a great feeling to have a workout routine, but you must constantly stay ahead of yourself if you are to get the best results. 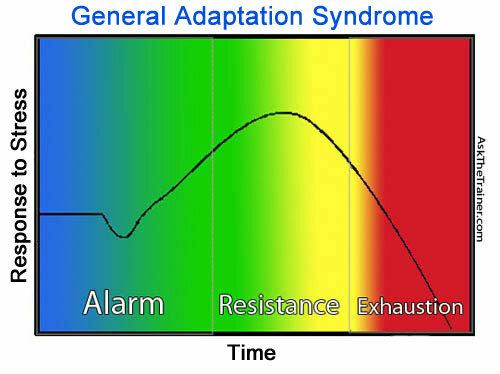 Your body has three primary phases in response to short- and long-term stress, as outlined in the General Adaptation Syndrome chart on the right. You can see that over time, your body’s response to stress peaks during the resistance phase and then begins to slowly decline. If you become an expert at creating workout routines for yourself, you will notice the signs when you are on the decline. If you feel your body start to decline, it is time to take a period of active rest, change things around and start a new workout routine which will cause your body to re-enter alarm phase so you can peak higher next time. Learn the basic anatomy and physiology of your muscles and how they relate to exercises for any muscle group or body part. Click on the anatomy chart to find exercises you can add to workout routines to accomplish your fitness goals. Building muscle not only helps you get stronger, but also helps your body become more efficient at burning fat. Learn what goes in to a muscle-building workout plan. There are many different ways to perform your weight training exercises. Learn why counting reps alone is an insignificant way to control a weight lifting workout. Learn how much work you should put into each workout and how to measure it properly. Learn different ways to organize your training sessions so you can efficiently work your entire body and allow proper recovery time. Learn why certain exercises are best to avoid if you have muscle imbalances. Still confused? Have a complete, personalized workout program created for you by a college educated, certified personal trainer.